We grow Strawberries, Raspberries, Blackcurrants, Redcurrants, Gooseberries, Tayberries and Rhubarb. We grow a number of different varieties of Strawberries to ensure a longer season. Our seasonal calendar page will tell you when each different type of fruit is available. Haywood Park Farm lambs are traditionally reared to the highest welfare standards. Lambing takes place on the farm during March. The lambs are grass fed, grazing with their mothers through the summer before being weaned in August/September. Haywood Park Farm’s apple pressing service runs alongside our own apple juice production. We have our own orchard as well as sourcing apples locally. Our PURE STAFFORDSHIRE APPLE JUICE is supplied in 750ml or 250ml bottles. We supply a number of local shops, cafes and pubs but also retail direct from the farm at very competitive prices. Turkeys are available from the beginning of December. Early orders are advised as there is always high demand due to the quality of the meat and competitive pricing. 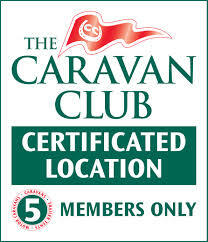 The caravan site is Caravan Club accredited for 5 caravans. It can also be booked for caravan rallies for a maximum of 30 caravans. The peaceful site is situated adjacent to Cannock Chase in an area of outstanding natural beauty. There is direct access onto Cannock Chase which offers excellent walking, mountain biking, bird and wildlife spotting opportunities. Mountain bikes are available to hire nearby and cycling tours can be arranged. “Go Ape” offers more extreme activities for those in need of adrenaline! !